Greenworks has been working closely with Newland Communities on Reeds Crossing, a 460-acre community located in South Hillsboro. Greenworks has been tasked with designing the 23-acre Greenway which contains stormwater facilities, multi-use trails, plazas, and a nature education area. 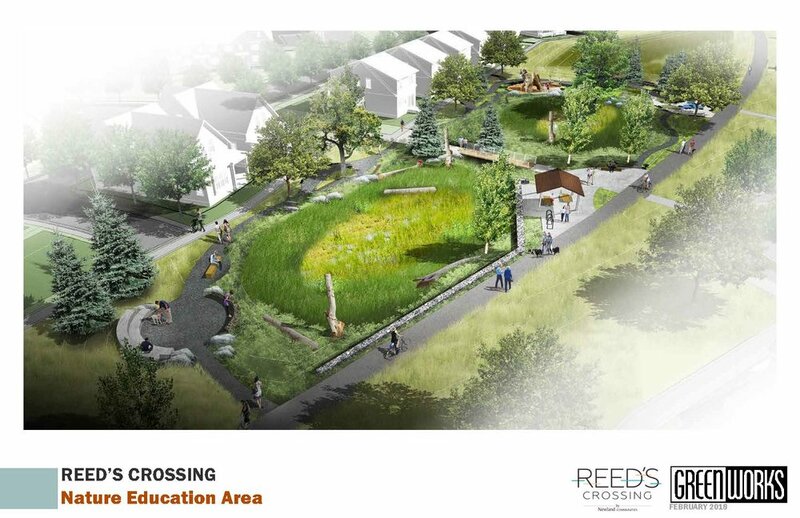 The nature education area, Discovery Park, is visioned to be part of STEM/STEAM programing for the Hillsboro Schools with education opportunities around the trail system comprised of stations for discovery and learning. Overall, Discovery Park is located centrally in Reed’s Crossing Gordon Creek Greenway. There are stations throughout Discovery Park where children can learn about the functions and values of the stormwater facilities, wetlands and habitat. · Water Discovery –children can learn about the stormwater ponds throughout the greenway and the functions of wetlands within the park by interacting with the water that will flow into a rain garden. · Nurse Log Habitat - children can learn about forest species, including salamanders, and downed logs that create habitat for a diversity of species. · Pollinator Habitat – children can learn about the benefits insects and birds in relation to flowering plants. There is also an outdoor classroom and a pavilion that offer gathering spaces for educators and parents to teach children within and among the habitat. Trails throughout the greenway and the neighborhood lead to Discovery Park. The park is also connected to a school (to be built in 2020) via a neighborhood. 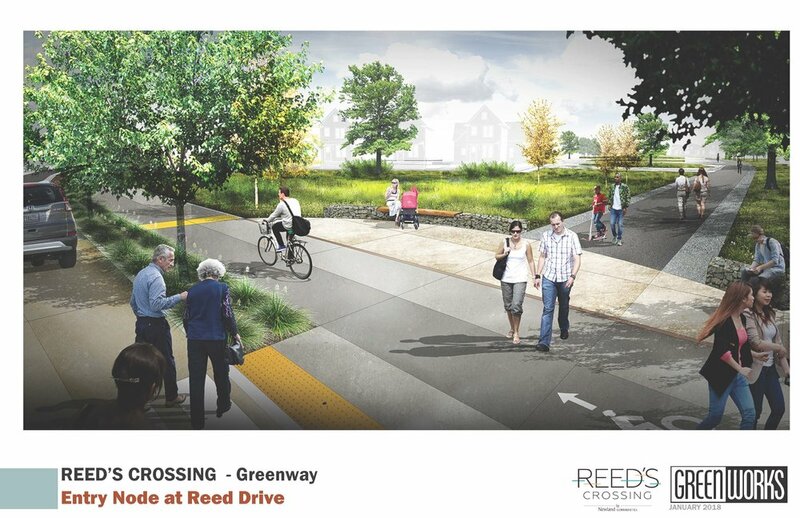 Greenworks has been working with Newland Communities on the 460-acre development Reed’s Crossing. Reed’s Crossing is comprised of public and private parks. One of the private parks is Oak Grove Park. Oak Grove Park is a 0.5 acre park where an oak grove has been preserved, hence the name. The park was designed around these oaks where the contouring land slopes up from the trees to streets creating a special enclave for rest and relaxation as well as protecting the roots of the trees. This passive recreation park has with an open lawn, meadow and series of trails that connect the community. This park celebrates the Oregon oak grove that is still standing on the Reed’s Crossing Property. Work completed by Greenworks was conceptual design through construction documents and permitting with the City of Hillsboro. Oak Grove Park is being constructed today and will be complete by early spring 2019. GreenWorks is currently working with Newland Communities and Hillsboro Park and Recreation on the 4-acre Neighborhood Park. This park is located south of the Greenway’s Discovery Zone Park and creates a link from the Greenway to a future elementary school. GreenWorks has been task with creating a diverse program to enhance the park and give the community a unique user experience without overlapping program between the Greenway and the future school. Other important goals include safe pedestrian access to the park from the school and Greenway and incorporate the neighborhood trail that traverses the park. This neighborhood park is an important connection between school and park, and residential and education. Program includes a circular path that circles the park and oak tree but also connects the park to the greater South Hillsboro community by neighborhood trail. The park supports all ages and abilities and includes a large play structure, nature play, bocce ball courts, a fire pit for relaxation, a skate pod and an contemplative flowering tree grove. In addition there is a central flexible lawn space that can host sports, games, and entertainment. GreenWorks is working with an architect to design a restroom park pavilion that will be located at one of the main entrances. Currently the project is embarking on a land use process and is proposed to start construction in mid 2020. Greenworks has been working with Newland Communities on the 460-acre development Reed’s Crossing. Reed’s Crossing is comprised of public and private parks. One of the private parks is Dobbin Park and it is located south of the Greenway and a large wetland. The name, Dobbin, was derived from the last farmer that is still working portions of the land not currently being developed. This 0.5 acre park pays homage to Dobbin by incorporating a barn-like play structure for kids of all ages and abilities. Dobbin Park supports both active and passive recreation where people can recreate in the open lawn, take their dogs on stroll around the paths that circle the park or just relax under the shade of a preserved oak. Dobbin Park is an all ages park that has activities from little ones to grandparents and furry friends. GreenWorks worked on concepts through permitting. This park is still under review for final permit. Construction is planned for early spring 2019. Located in Nampa, Idaho the Deer Flat Wildlife Refuge (DFWR) which surrounds Lake Lowell offers a unique opportunity to engage a growing urban and diverse population in connecting people to nature, while simultaneously building support for wildlife conservation. As the leading design consultant, GreenWorks is assisting the United States Fish and Wildlife Service (USFWS) in envisioning goals to protect and enhance habitat throughout the DFWR, while also supporting a variety of public recreational activities. In accordance with the DFWR Comprehensive Conservation Plan, GreenWorks is providing planning studies for the redevelopment of the Lower Dam Recreation Area and renovation of the Upper Dam East boat launch. Through detailed mapping and site analysis, stakeholder interviews and workshops, and public involvement events, GreenWorks will generate planning and construction documents that support wildlife growth and public use of Deer Flat Wildlife Refuge. The overall need for the project was initiated by the need for ADA access to the refuge facilities. An integral part of the project is to provide ADA accessible parking, bathrooms, connection routes, fishing docks, boat ramp docks and interpretive trails that are ADA accessible. GreenWorks is providing master planning and design services for the North Cove Park project in Lake Stevens, Washington as a sub to Crandall Arambula. GreenWorks prepared an opportunities assessment on the existing open spaces including facilities along the shoreline of Lake Stevens, the Boat Launch, creek, and wetlands within the study area. GreenWorks also prepared a conceptual park and trail network design comprised of three park concepts for the North Cove Park and Lake Stevens Creek that build off the historic Lake Stevens and potential waterfront tourism destination. These conceptual plans consider integrating existing recreation uses such as rowing and boating; address both active and passive uses within the park and propose spaces for large community gatherings such as concerts, festivals, or farmers markets; enhance visual access to the Lake from Main Street; provide for additional amenities that complement the Lake Stevens waterfront and existing North Cove park, including urban plaza, greenways and other civic gathering spaces that support the area retail, housing and employment; and improve wetland and natural areas through wildlife or native planting water quality corridors to strengthen existing Lake Stevens, Catherine Creek, and other natural areas. Over the last decade, GreenWorks has built a strong relationship with the City of Independence, providing services on a number of projects related to open space along the riverfront. GreenWorks provided design coordination for the City of Independence’s Downtown Revitalization project. GreenWorks went on to provide conceptual design, construction documents, and construction observation for the downtown Amphitheater, Veteran’s Memorial, and Fountain at Riverview Park along the Willamette River. GreenWorks provided cost estimates, stakeholder presentations, and constructability reviews. Project goals included the use of local or recycled materials where possible, preservation of existing vegetation, reduced water consumption, the use native plants, control of erosion, and reduced stormwater runoff. GreenWorks met with local citizens and veterans and developed a design that relocated the Vietnam Veteran’s Memorial to increase its visual presence in downtown. The new plaza and amphitheater facility has been embraced by the community and has become a major public venue for events drawing visitors from all across the Willamette Valley. GreenWorks was then contracted with the City of Independence to update the Parks and Open Space System Plan. The plan assessed the changing recreational needs of the larger, more diverse population while also incorporating modern recreational trends. The plan also developed a new list of goals and tasks to ensure that the City can provide for the future recreational needs of the community. Most recently, GreenWorks redesigned a 30-acre baseball complex plan into the Independence Soccer Complex. The project’s initial phase of two soccer fields was completed in 2015. The site also provides access to the city’s public boat launch and dock and the north end of the extended waterfront park property that links to downtown. From casual visits to the playground during the weekday to 40,000 people in one weekend during the famous City of Sandy Mountain Festival, Meinig Park sees the entire range of uses and impacts from visitors. GreenWorks designed a new parking lot at the base of the park which includes pervious pavement, daylighting of an existing culverted creek that runs through the park, new sidewalks, a park trailhead and pedestrian gateway. GreenWorks designed a new amphitheater with a stage and expanded seating to accommodate larger performances. GreenWorks is responsible for parks and open space planning, trail planning, urban design and sustainable stormwater strategies for this 800 acre new community. 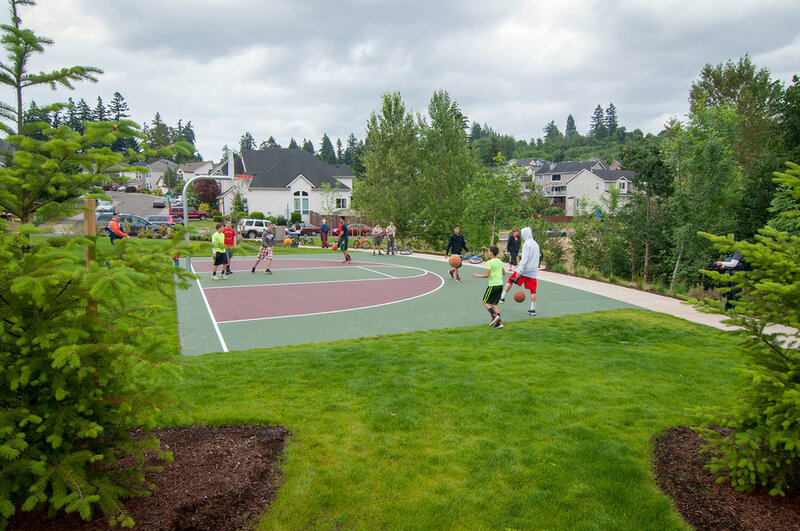 We are evaluating existing standards for the Tualatin Hills Park and Recreation District and will make recommendations for modifications to park system classifications and levels of service (LOS). GreenWorks will develop design approaches for a green infrastructure system that will also serve as community amenities. We are working with an interdisciplinary planning team to create a unique identity for this new community, linking natural resources, recreational opportunities and people. This integration of civic placemaking and sustainable design is a key distinctive of the future North Bethany Community. 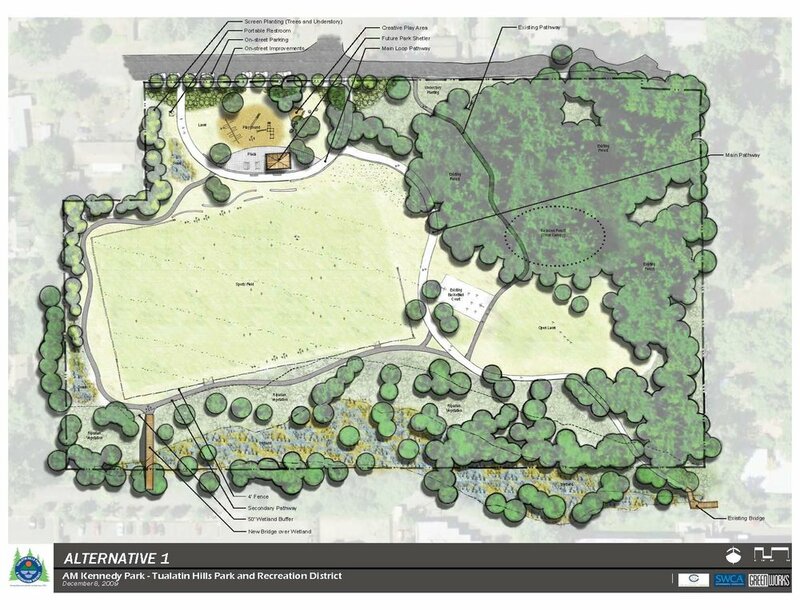 GreenWorks assisted the City of Gresham with the design of the Springwater Spur Trail project, part of the Phase One of the Main City Park Master Plan. The trail completed a significant connection between the existing Springwater Trail and Downtown Gresham through the popular 21.6-acre Main City Park. GreenWorks helped to ensure the design met the provisions of the grants and funding requirements by OPRD, ODOT and Metro. The Spur was designed as an ADA accessible, multi-use trail for pedestrians, bicycles, service and emergency vehicles. The design of the Springwater Trail Spur supports the City’s goals for sustainability by incorporating stormwater quality facilities to treat trail run-off and existing parking lot facilities that were formerly untreated. 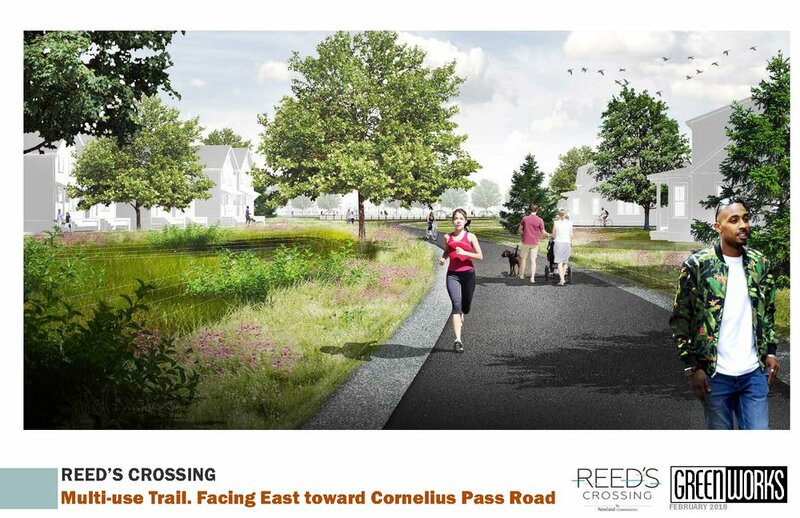 Associated features of the project include gateway design elements, landscaping, model stormwater management facilities, irrigation, lighting and trail signage. Finally, the Springwater Trail Spur created a sense of place by incorporating a new trailhead and prominent gateway feature at the south end of the trail where it abuts the Springwater Trail. 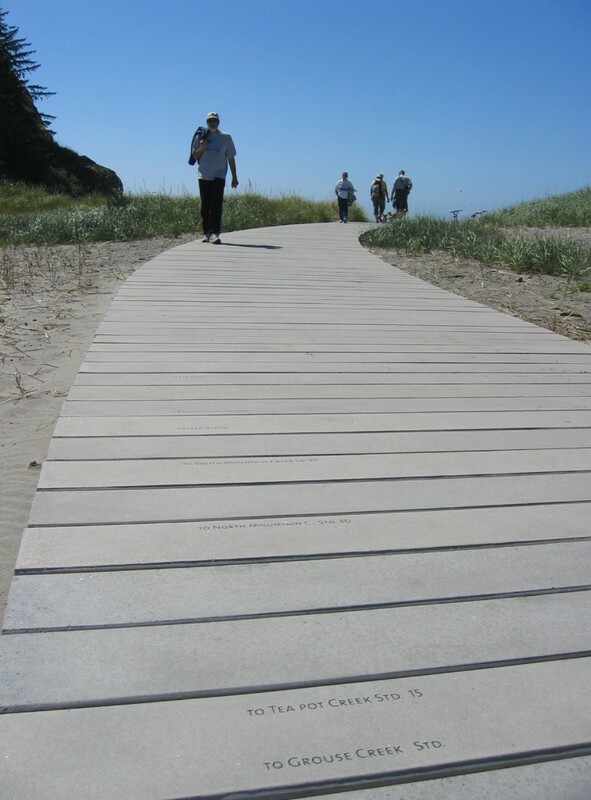 Cape Disappointment (formerly Ft. Canby State Park) has a vibrant history, including native peoples, explorers, US military and most recently state parks. The 1800 acre Washington State Park at the mouth of the Columbia River contains over two-hundred campsites, a boat ramp, day use areas, interpretive center and many historic coastal fortification structures. The environment is very dynamic, with coastal erosion threatening approximately ninety of the existing campsites. GreenWorks led a multi-disciplinary team in developing a 20 year Master Plan for the park, identifying new visitor service centers, administrative headquarters, maintenance facilities, multi-use trail network, interpretive facilities and restoration areas. In addition, GreenWorks oversaw the preparation of a Draft and Final Environmental Impact Statement for the project. GreenWorks provided site planning and design services for the Paradise Historic Landmark District in Mount Rainier National Park. In addition to participating in a Cultural Landscape Workshop and contributing to the Cultural Landscape Report, we assisted in the siting and design of a new 15,000 square foot Visitor Center, site plazas and trailheads. We also evaluated the possibility of future alternative modes of transportation within the National Park. GreenWorks prepared construction documents for all pedestrian amenities and site features in the area, including restoration of native alpine meadows. GreenWorks worked with Portland Parks and Recreation on the Master Plans for Mill Park and Midland Park in Southeast Portland. The two parks are in a concurrent process due to their close proximity to each other and are in ethnically diverse and low income neighborhoods. The team participated in a unique public outreach approach with PP&R to increase the City’s efforts to involve and receive feedback from community members that have historically been underrepresented during the public process. Greenworks aided by attending focus meetings with community leaders and preparing graphics that are very clear with translations in Vietnamese and Spanish. The Master Plan was finalized at the end of 2017. GreenWorks worked with Wallis Engineering on the redesign of the parking lot located in the lower portion of Memorial Park for the City of Wilsonville in Oregon. A concept plan was completed and posted on the City’s website as part of an online open house to solicit public comments. To see the concept plan and learn more information about the project, click on this link. AM Kennedy Park is a neighborhood park off of Beaverton Hillsdale HWY in Beaverton in the Tualatin Hills Parks and Recreation District (THPRD). A 2008 Park Bond provided the funds for THPRD to move forward with upgrades to AM Kennedy Park including a full-sized adult, sports field and support amenities including community gardens, playgrounds, gathering areas, and pedestrian trails. GreenWorks developed a plan to accommodate amenities while minimizing impacts to the park’s riparian and native tree groves. In order to support the field parking, a foot bridge, and temporary restrooms are planned for the site with connections to offsite parking. A footbridge is planned to bridge the floodway and wetland while providing access from the parking lot. GreenWorks provided plans for upgrading the following amenities: play equipment, picnic areas, pathways, small foot bridge, drinking fountains, park furniture, open grass areas, natural areas, landscape restoration and buffers, and irrigation. The Metro Parks and Natural Areas System Plan sought to answer the following questions: What does the region need for the future? What should Metro destinations look like? How can the region work together to build this vision? GreenWorks was tasked with uncovering the answers to these questions, along with our team of consultants and community based organization partners. The System plan helped lay the groundwork for future decisions regarding Metro’s role as a regional landowner and steward of these precious lands. Even as the parks portfolio changes, the goal remains the same: to honor the trust that citizens of the region invested in Metro by approving two natural areas bond measures. The System Plan is an opportunity to fulfill the vision of the voters and create an integrated vision for the next 20 years. Metro is dedicated to promoting equity goals in their operations, staffing, contracting and other aspects of their mission. GreenWorks recognized the System Plan as an opportunity to understand values from a cultural diversity perspective and to develop strategies that promote equity in programming and development. In the course of this project, equity was integrated into all team discussions. GreenWorks teamed with Self Enhancement, Inc, Multicultural Collaborative, and Coalition of Communities of Color on this project. GreenWorks was part of a multi-disciplinary team working for Idaho Power to conduct a site assessment and prepare conceptual alternatives to stabilize bank erosion occurring along a half mile section of the west bank of the Snake River in Farewell Bend Sate Park. The primary goals were to identify causes of erosion and develop concepts that would stabilize the shoreline and control the active erosion of the river bank. Additional sub goals included minimizing impact to cultural features, accommodate park use and integrate and enhance habitat elements to the extent possible. During the construction documentation phase, GreenWorks, working with Inter-fluve, researched and developed an innovative method for establishing planting within the rock revetment bank stabilization design.